Forklift operators will all have an idea of how sophisticated this material handling equipment is for warehouse use. Forklifts are robust equipment that help businesses to complete a broad range of shipping, logistic, and receiving tasks daily. Although it serves industries and warehouses with their material handling tasks, the machine itself comes with some limitations. Hence ergonomists create a broad range of attachments for forklifts to boost efficiency, productivity and safety to maximize its use. However, similar to the forklift’s forks, these contraptions also have a limited lifespan. 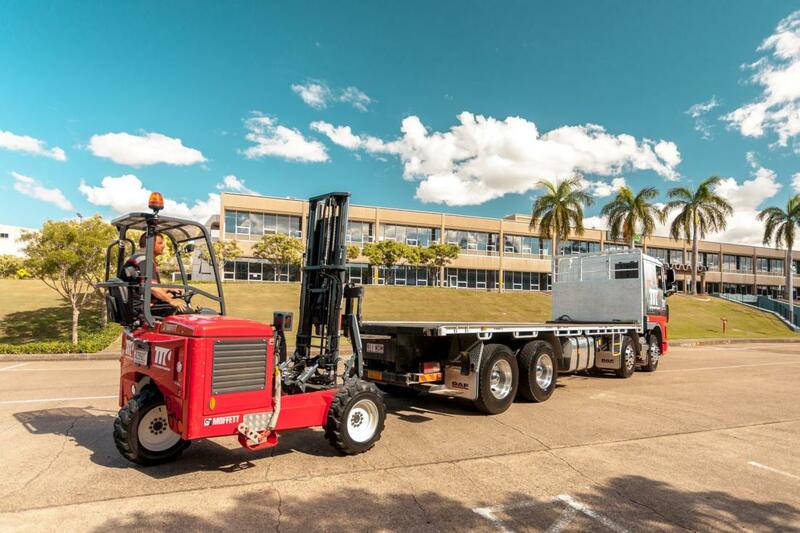 When you invest in a Moffett forklift, knowing the right time to change them is imperative to get the most out of your machine. If you are searching for some indicators on when the right time is to make the change, then our comprehensive guide at Moffett Truck is what you need to go through to know when the forks need a replacement. Similar to what we experience in the tire depth, checking the fork’s thickness serves as a great barometer to understand whether or not it is the best time to change or replace them. In general, if the fork loses less than about 10% of its original depth, then it is important to remove it. It is similar to reviewing the tread depth of a tire. A poor quality fork or one in bad shape will hinder the performance of your business operations. You should also check the ports to determine whether it is the right time for a replacement or not. When you do this it is also important that you ensure the forks are even. Does It Have Load Markings? Having load markings on the forklift also serves as a guideline for the workers and operators alike to help them in different material handling operations and supply chain tasks. They also serve as signs that the forks are falling apart and need some replacement. A general practice to help you distinguish whether or not the forks are genuine is by a fading or nonvisible load marker. It is also important that you understand that the bullet point will also coincide with OSHA directives in accordance with utilization and inspections. As you put the device to work, no markings will not only pose great hazards but also expose your business to possible liabilities. This is because it may no longer be compliant with active guidelines and regulations. You should always keep an eye out for damages and fractures. Even the smallest crack in the attachment of the forklift will be an indicator that it’s not time for you to change the forks. Initially, the cracks would be small, but eventually, they would grow into a full fracture, damaging them. This will not just present any safety risks, but it will also make your inventory vulnerable since it’s prone to damages. When taking care of your Moffett forks, make sure you address and monitor even the smallest wear and tear. For more information, please don’t hesitate and contact us now.